Vladimir was born on November 10, 1950 in the village of Uva. He was the second child in a large family. His father's name was Peter Prokopyevich Kuznetsov. He fought on the Second World War, and then for many years worked as a loader at the bakery. His mother's name was Anna Mineevna Kuznetsova. She was a housewife. From elementary grades Volodya liked to draw. Witnesses to the covers of notebooks, books, diaries. Love for painting was awakened in him an elder brother Paul, who first drew better of Volodya. However, after some time, the younger brother has surpassed older. Paul became interested in music. Volodya also had a good ear for music. He even played the drums in the vocal-instrumental ensemble. Volodya was a good student. His favorite subjects were drawing, algebra, geometry. He has always been involved in the design of the various school activities. For example in grade 10 he has painted a large portrait of Gorky for the stage. 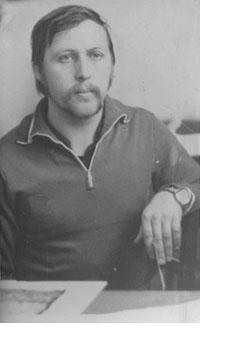 In 1968 Vladimir graduated from high school and enrolled at the Udmurt State University. He chose the Faculty of Fine Arts and passed all tests perfectly. In 1969 he quit the University for family reasons. His father died and mother was left with small children. In March he was hired by the Department of culture as a head of the club, then transferred to the position as a graphic designer of the District House of Culture. Volodya first time participating in the exhibition, devoted to 100 anniversary of Lenin's birth. There were linocuts and watercolours. In 1970 Vladimir was drafted into the army. He served in Saratov. The army was for him not only school life, but also of artistic skill. He painted portraits of fellow soldiers and participated in an art exhibition of works by soldiers. There also opened his first solo exhibition. In December 1972 he returned home. And in January he worked in a Studio DK "Youth". 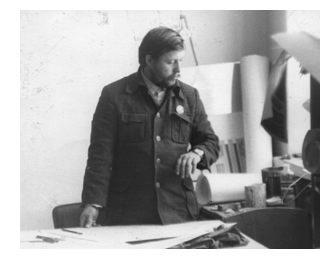 In 1975 Vladimir was transferred to the post of senior graphic designer. In January 1976 he married. In the same year was born his son Oleg. In 1978 was born his daughter who was named Marina. In Soviet times he had to draw a lot of posters and stands. Sometimes it was not interesting and monotonous work. Volodya was looking for satisfaction in art. He tried to make coinage, painted in watercolor, oil, graphics. He wanted to comprehend everything, but only the watercolor won his heart. 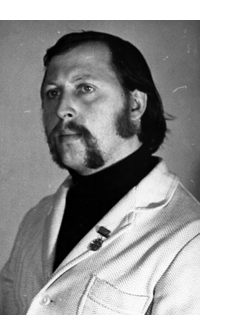 In 1976 he opened his first solo exhibition in the village. Countrymen appreciated the talent of the artist. Much good has been said and printed about him. It inspired the artist. Vladimir often worked on weekends. Among the everyday worries Volodya found time for creativity. Early in the morning he went to the sketches. He even got up at night to see the moon. Volodya could not live without it. He loved to paint the sunset, sunrise, winter. Each spring the house was filled with the smell of wild cherry and lilac bouquets of which he loved to draw. The artist often went to paint nature. And if Vladimir was at home in his spare time he painted portraits of children, wife, relatives. Unfortunately, at that time it was very difficult to get good paper, paints, brushes. The artist had to draw on the back of wallpaper. Also he had to make the own paint and brushes. Volodya was interesting to paint and restore the icons. Religion was banned and he received a reprimands from the management. But there have come times when you can draw icons openly. Volodya made the iconostasis and crucifix in the church of our village. Volodya was born an artist. He could feel the beauty and wanted that beauty surrounded him everywhere. The artist has mastered wood carving. He decorated his apartment and his house in the country. He succeeded in everything he undertook. Even the furniture is beautiful. One of his hobbies were mechanical devices. Vladimir himself made a few machines and jigsaws. But of course the artist didn't forget the watercolors. In 1989 he tried to paint on wet paper. This is a very difficult technique. The work takes 20 minutes until the paper is dry. It's impromptu and fix something later is already impossible. Watercolors became more gentle and lyrical. For 11 years the artist developed this technique and achieved a high professional level. He participated in all regional and republican exhibitions of amateur artists. There were four personal exhibitions of the artist in the village of Uva. Vladimir was awarded the first degree diploma of the Udmurt exhibitions of Amateur artists in 1977. There he presented seven watercolors. In 1975-77 the artist was also awarded a diploma of the first degree at the first All-Union festival of amateur art of the RSFSR. He was also awarded a bronze medal ENEA USSR. About the artist told the Udmurt television. In 1991, Vladimir was in charge of staging a part of DC "Youth". He drew sketches and did the scenery. He drew sketches and did the scenery. He also participated in the design of all mass events, election campaigns and sports events. He often had to work on holidays and weekends. I especially remember the Republican contest "Who is 25" in the preparation of which Vladimir made a great contribution. Our district then won first place in the Republic. Since 1997, Vladimir worked at the MPZHKH "Uvinskoe." In these years many pictures have been painted by oil. Often the artist painted portraits to order, and he did a beautiful frames to them. The artist's paintings can be found in the UVA homes in Izhevsk, Yekaterinburg, Moscow, Ulyanovsk, Tatarstan and Germany. Signs, stands, billboards, murals by the artist decorate Uva. Vladimir was recognized among the Udmurt artists. He did not join the Union of Artists and had no titles because he was a modest. The main thing in life for him was art. In February 2000, Vladimir became ill. In the summer he felt like he was getting weaker he was in a hurry to prepare for the solo exhibition which wanted to open his birthday. During this period he painted more than twenty watercolor paintings. Forces left the artist's hands and hands did not obey to him. Then he sat and looked at his watercolors going into their world where he felt so good. Personal exhibition was opened October 17, 2000. There were represented 58 watercolor paintings created in recent years. The artist was not present at the exhibition, but saw the video. Everything was great: both the exhibition and the beautiful words in his address. He was satisfied that the plans were executed. However, many ideas and wishes did not materialize because the disease was incurable. The artist died at the age of 49 years. Vladimir has created about two thousand works of art, working in areas such as watercolor, oil, drawing, engraving, woodcarving. He gave people a good mood, the beauty, the love of nature. Art historian V. Gartik called the artist as "a real nugget" for his professionalism and high spirit. Vladimir left a great memory. His watercolors survive many more generations. He said that the descendants will understand and appreciate his paintings. 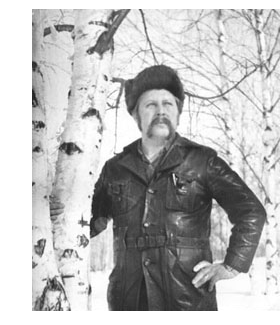 Here are his words: "We lived in a beautiful land, able to feel the heat of early dawn, loved Russian birch, and let the grandchildren know it".